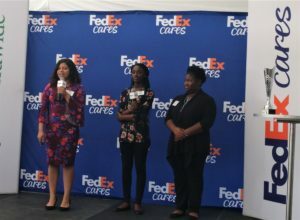 Junior Achievement and the FedEx Junior Business Challenge, VR opportunities, putting, Coca-Cola Lounge and tickets. Sure Tiger Woods is roaming the grounds and the top 30 golfers when it comes to FedEx points are in town this week, but when it comes to the annual TOUR Championship, it’s about more than just golf. On Wednesday afternoon, the TOUR Championship at East Lake Golf Club hosted the second-annual FedEx Junior Business Challenge finals. At the event, Junior Achievement (JA) students from across North America presented original business ideas to a panel of judges for the chance to generate a $75,000 donation from FedEx to their local JA chapter. 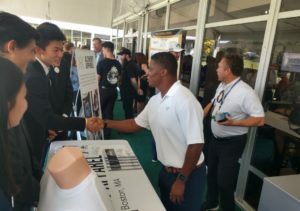 The panel judge was headlined by NFL Pro Bowler and Atlanta Falcons Ring of Honor member Warrick Dunn and three-time PGA TOUR tournament winner Marc Leishman. 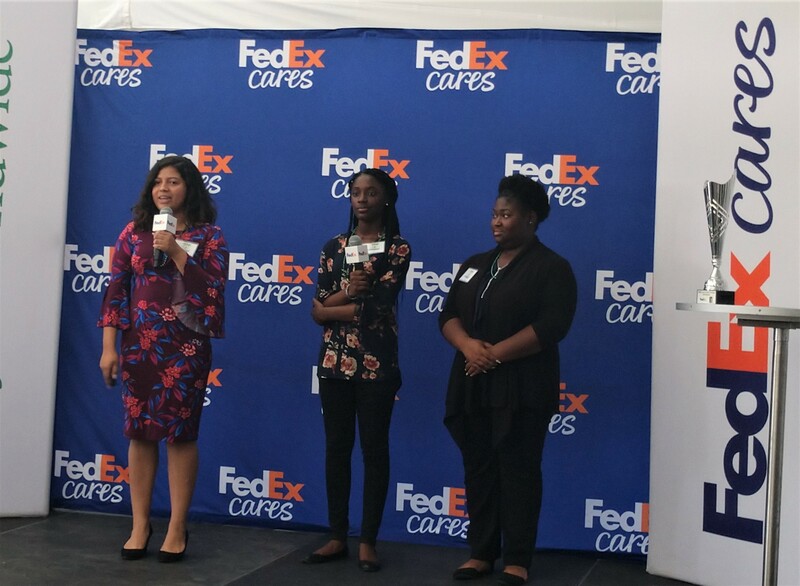 In conjunction with the PGA TOUR, the FedEx Junior Business Challenge is a collaboration between FedEx and JA Worldwide to help empower the next generation of entrepreneurs. This season, qualifying events have been hosted at: the WGC-Dell Technologies Match Play, THE PLAYERS Championship, the RBC Canadian Open and the Dell Technologies Championship. 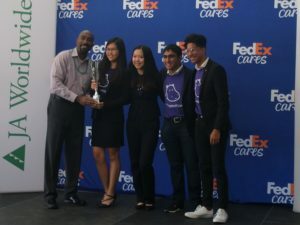 The student group from Canada, myCryptoHippo delivered a perfect presentation and took home the grant and the trophy. Looking to watch golf from a different viewpoint, Intel True VR will be onsite during tourney rounds producing LIVE VR. 360 cameras will be placed on the par-3 holes, the 9th and 15th, and viewers using a VR headset at home will be amazed by what they will see. The TOUR Championship announced today that Hurricane Florence evacuees from North Carolina and South Carolina can receive a complimentary grounds ticket to the Practice Round on Wednesday, September 19 when the top 30 players in the FedExCup standings return to East Lake Golf Club for the FedExCup Playoffs finale event, September 19-23. When North Carolina and South Carolina residents show a valid State Driver’s License at the Main Entrance to the TOUR Championship, they will receive a complimentary grounds ticket for Wednesday only. Each day during the tournament, a limited number of spectators will be able to meet with a PGA TOUR Superstore Certified Expert to select their equipment and be escorted by GSGA team members through a custom putting experience on an actual East Lake green, running at championship speed. The Putting Experience is open to fans on a first-come-first-serve basis. New Main Entrance: Located near the 14th green, fans will quickly have access to favorite venues, including the SO Cool Zone, The Deck presented by Feed a Bee and more! 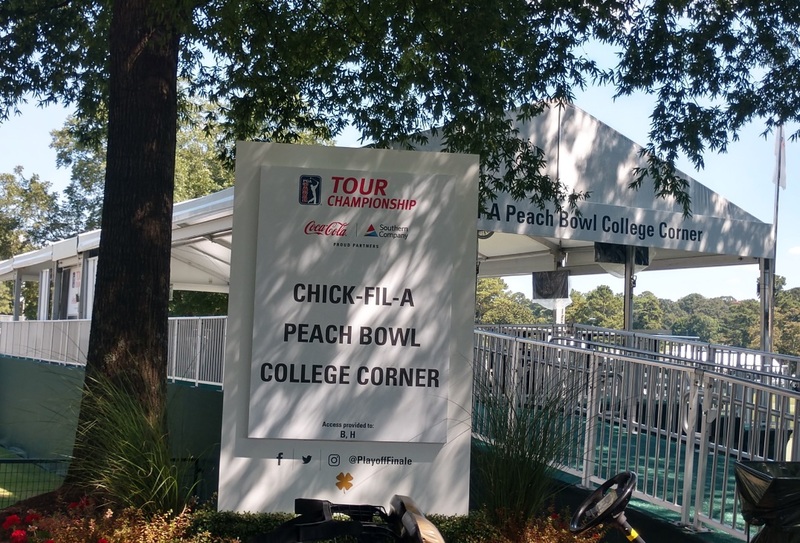 The Coca-Cola Lounge offers stadium views of the 8th green as well as several activations, including a photo booth, putting green and a swing simulator, where fans can take their shot at the par-3 9th hole. ACME Oyster House will serve up famous oysters. Back Nine Brews is a craft beer destination located off the 17th fairway with games, activities and fare from Tin Lizzy’s. SO Cool Zone: Nestled near the 14th green, 15th green and 16th tee, the SO Cool Zone is the ultimate place for fans of all ages to refuel at Fox Bros. Bar-B-Q or Universal Joint and recharge in the shaded space. Peachtree Porch: Featuring delicious selections from Steinbeck’s and Big Tex as well as refreshing treats from King of Pops, the Peachtree Porch offers a viewing deck for fans to take in the action on the 7th green. As an added bonus, William Hill Estate Wine and Dine is just steps away from Peachtree Porch. Fan Journeys: Whether you’re a golf fanatic, foodie, family of four or social butterfly, the TOUR Championship has something for everyone! The TOUR Championship website and the PGA TOUR app offer an interactive map to help navigate the course and tops stops. Be sure to follow the TOUR Championship on Facebook, Twitter and Instagram and share your experience using #TOURChampionship. Daily grounds tickets are still available for purchase throughout tournament week at pgatour.com/tourchampionship. As a reminder, youth 18 and under are admitted free to the tournament grounds when accompanied by a ticketed adult. All parking for tournament week is FREE at Georgia State University Football Stadium (WEDNESDAY, THURSDAY AND FRIDAY ONLY) and Cellaris Amphitheater at Lakewood (SATURDAY AND SUNDAY ONLY). There is no on-site parking. A FREE shuttle will be provided for transportation from Georgia State University Football Stadium and Cellaris Ampitheater at Lakewood to East Lake Golf Club. As a reminder to all fans, children 18 and under are admitted free of charge when accompanied by a ticketed adult. Complimentary admission is also provided for all active duty and Reserve military members, military retirees and their dependents, while discounted admission will be provided for non-retired veterans and one guest per day. For more information about the TOUR Championship, please visit TOURChampionship.com. Fans are encouraged to follow the TOUR Championship on Facebook, Twitter and Instagram.